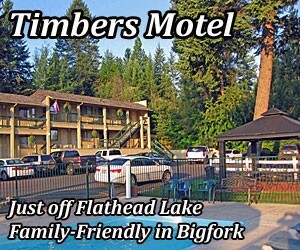 You'll find excellent value lodging in one of the many Whitefish Montana Motels. Discover well known national chains or a locally owned Whitefish Montana Motel. 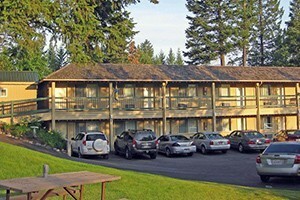 Whatever your choice, motels are an ideal lodging option for budget and family vacations to Whitefish MT. Choose from comfortable single, double or king rooms, some are pet friendly, and include continental breakfast, outdoor pool & hot tub, sauna, and 1/4 mile to Bigfork marina. Comfortable, clean lodging w/no frills and exceptional value rates. Pool, hot tub, WiFi, close to downtown shopping, lots of restaurants and near the city airport. Not only is the Caboose Motel a great place to stay in Libby, MT, but they will also be your activity planners and book adventures and rentals for you. Economy lodging w/delightful rooms. LCD-Cable, indoor hot tub and spa, pool, WiFi, cont. breakfast, in-mini fridge, plus dog-friendly. Canadian holiday discounts. The Downtowner Inn is the only accommodation downtown Whitefish. Shopping, dining and exciting night-life are just a stroll away. Free wifi and a bagel bar in the morning. In a great location near the western entrance to Glacier, this family friendly motel offers modest motel rooms and cabins, as well as a heated swimming pool. Located in the heart of Hungry Horse and just 10 minutes from the park's west entrance, this pleasant motel features basic and affordable rooms with modern amenities. Central location in Polson to all of Montana's best wonders, this inn offers breathtaking views. Continental breakfast, hot tubs, special discounts. Featuring 3 beautiful mineral bath soaking pools, we offer 31 hotel rooms for overnight guests, plus a jetted tub jacuzzi suite. Located in the beautiful Kootenai River Valley, the Venture Motor Inn to stay, dine or host your special event in Libby, MT. 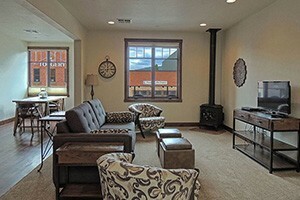 Select from one-bedroom or studio rooms in Whitefish with upscale amenities, WiFi, plus full kitchens. Compare our extended stay value.